As Graphic Designer for Ginch Gonch I worked with the Senior Designer to create all of the companies graphic necessities. I was responsible for the management of creative projects from concept to completion. Design duties included; Ad creation for large marketing and advertising campaigns, creation of communication materials (banners, packaging design, brochures, pamphlets, flyer's and promotional collateral), trade show booth design, web template creation and apparel design, print pre-production, silk screening and matting pre production. Creation of visual displays for international department stores. As well as event planning and coordination. 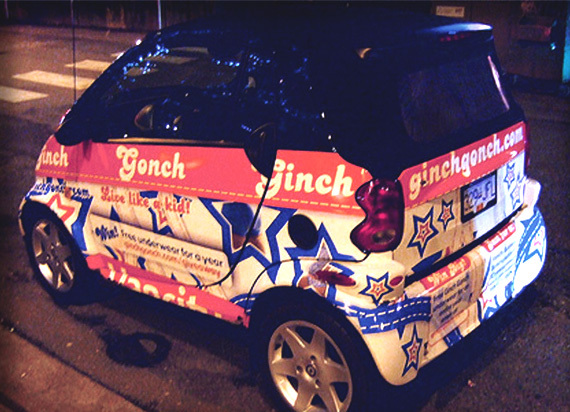 Through its cheeky, outside-of-the box marketing campaigns and sassy names for its products, Ginch Gonch has acquired the reputation of being the brat of the industry. 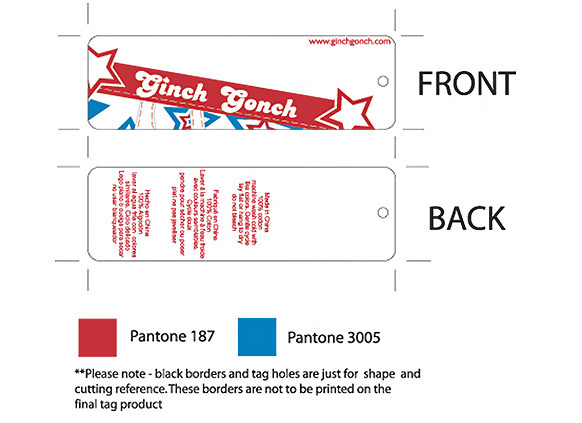 Ginch promotes fun, freedom of expression and diversity through its famous catch phrase. 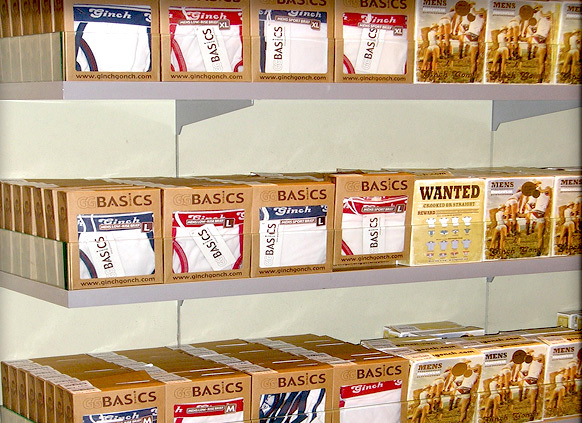 It’s “Shiny Heiny”, “Wiener Eater” and “Crotch Rocket” underwear have won the hearts and crotches of millions all over the world who embrace the Ginch Gonch Live Like a Kid! philosophy. Bringing fun into bedrooms worldwide, Ginch Gonch can be found in premium department stores and exclusive boutiques in New York City, Chicago, Los Angeles, Miami, Montreal, Tokyo, Paris, Toronto, London, Amsterdam, Berlin, Vancouver, Barcelona, Glasgow, Düsseldorf, Johannesburg, Hong Kong, Singapore, Mexico City, Madrid, Sydney, Milan & many more!